6 get up from this table and take you in my arms - you're that near to me. And so far. Sometimes I blaze up in inner rebellion against this job which I do not really want. But not often, for I know that the mightiest oak cannot stem the stormblast, but must fall. If I give and sway with the current, I'll survive much better for the clear dawn afterward. 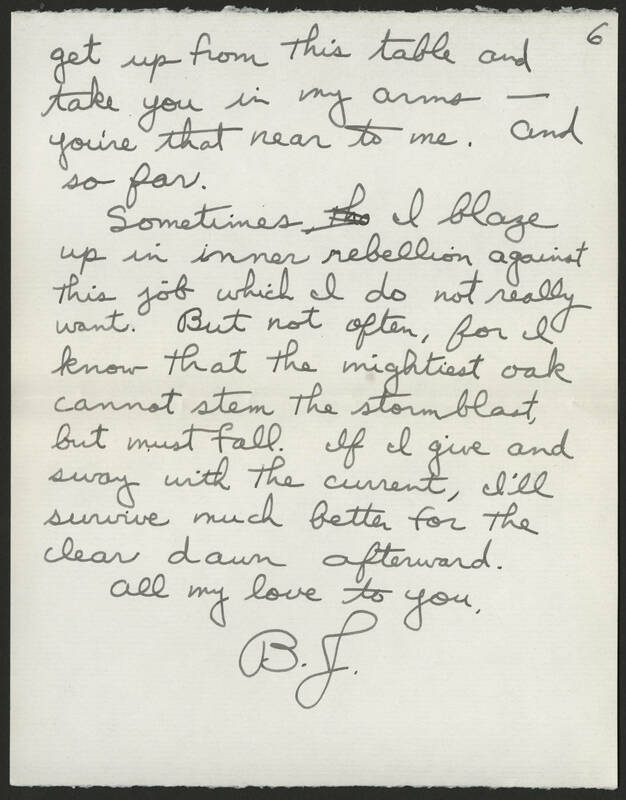 All my love to you, B.J.